Are you looking for a bingo site where the sky is the limit? How about an online bingo site that offers not only bingo but a whole menagerie of players in one social gathering of fine entertainment. You won’t have to fly the friendly skies to get there because Bingo Sky has already landed. Too often we get an image in our heads of what a bingo site will look like just by their name and become disappointed when it ends up not resembling their namesake whatsoever. That won’t be the case with Bingo Sky. There are clear blue skies with pearly white fluffy clouds that are delicately scattered on the homepage. It’s a first class seat with no turbulence in sight as players land with curious wonderment in the lobby. From the moment you join you are considered a VIP and isn’t the way every player should be treated newbie or not? Bingo Sky has covered a lot of information to make it easy for players including Games Schedule, Rules and Regulations and even Hardware Facts that will make gaming run smooth on your computer. Proprietary software powers the site and is also a nice choice for new and different games that are not the mainstream software. Players will find unique gaming they won’t find at the typical online bingo. Bingo Sky is owned by CB Corporation and is licensed in Cyprus. Whether you grab a seat right away in one of the 7 Bingo rooms or Pre-order cards ahead of time you won’t ever be left out in the 75 ball or 90 ball bingo rooms. Some specialty rooms are only open on weekends like the 90 Budget, USA or Tournament room. Progressive Jackpots are featured in all rooms with card prices that max at $2.00 per card for the largest prizes. Bingo patterns are numerous with unique styles that make playing all that much more fun. Video Slots offer exclusive machines that give players an option to play 9, 15 or 21 paylines on each slot. Four Arcade Games add a dimension of a variety for players that are a refreshing change of pace. Video Poker is extensive with 1, 4 and 10 hand options per game. The suite of games is completed with an array of Table Games. A fantastic Funding Bonus is available to all new players as you will immediately feel the affects of what being a VIP is all about. Reload Bonuses on all other deposits is offered every single day. The percentage of the bonus varies on the deposit amount and the higher the deposit the more lucrative the bonus. Depositing has even more benefits with 15 Loyalty Points awarded for every dollar deposited. These points can be redeemed for special bonuses. Bingo Points are earned when playing Bingo 75, Slots, Video Poker and Multi-hand Video Poker games. Points can be used towards daily and monthly cash draws. The promotions offer a blend of new and standard offers that are both riveting. Bingo Tourneys are themed in a seasonal flair while Fridays will kick off your weekend in a musical way with Fresh Music Friday. A Free Bingo room allows players to win cash prizes with bingo cards that are free. The Newsletter details current events and special announcements. The games are unique with a Proprietary platform. The Loyalty and Bingo Point system is a rare find with two ways to earn. We rate Bingo Sky with 4 hearts. Bingo Sky is another Vista Gaming site that has been one of my regular stops on the bingo trail. The site is well put together and easy to navigate. If you play at other Vista Gaming sites, Bingo Sky will look very familiar. 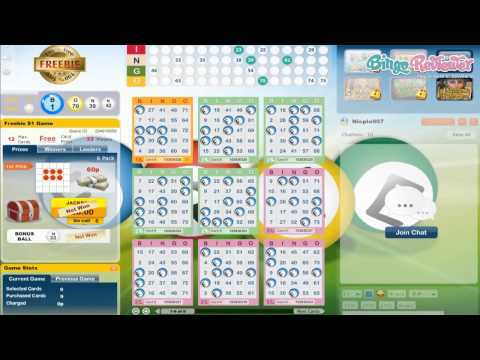 Bingo Sky offers very nice welcome bonuses and also has a great bonus system in place for loyal players. They also offer bonus specials periodically so it is nice to take advantage when you have enough to deposit to make the bonus. They have even emailed me with special bonuses that do not require a high dollar deposit. For $25 I can often get a 300% bonus. But even without that, the regular loyalty bonuses that increase by amount deposited are just fine. There are no wager requirements at Bingo Sky so you don't have to calculate how much money you still have to spend in order to be able to request a cashout. Any bonus monies in your account are simply deleted when you make your withdrawal request. And should you decide to reverse your withdrawal, your bonus money is placed back into your account as well. You can play bingo with your bonus money but not the slots, arcade or casino games. So, if these games are the ones you like to play the most, you might want to play them first before you jump into bingo. Be sure and participate in the chat games. Simply enter your choices for all rooms and games and they are saved for you. Just buy your cards and you are on your way to getting lots of bbs. The game prizes here at Bingo Sky are nice and sometimes so hefty it's hard to believe! There are many jackpots to be won, and be sure and watch for the free games in the Tourney room. They even offer a free $1000 game every week so you can win even if you were a loser up to that point! Be sure and follow their facebook page as they have many opportunities for free cash and bbs with fun contests happening all the time. Their newsletter and FB pages are a great source of info for promotions and specials so be sure to be informed or you may miss some great excitement. I really liked this site. They offer the simple classic varieties of bingo and you really can’t go wrong with that. In addition, they also have a nice amount of rooms to play in on a regular basis. I was pleasantly surprised when I took a look at everything they had to offer. They have a nice selection of slots as well, with some that go up to 21 lines. Video poker, arcade games, casino games and even table games are offered as well. One thing I didn’t like too much was their layout. It was a bit predictable and not really all that appealing but aside from that, I still really enjoyed the site! The free bingo here is a really sweet deal. I haven’t seen a deal quite like this before. I usually come across the same repetitive free bingo promos, but this one is really great! It’s not exactly offered every day but it’s offered just enough to keep you looking forward to something! First reason I tried this site is the $20 Free No Deposit Bonus, and I am not ashamed to say I really like to hunt for sites with some kind of a free promotion. Combine that with a 500% first deposit bonus, and you have a promotion you don't want to miss. Just a reminder, you do have to use a referral link from this site in order to get those promotions. There are seven Bingo rooms: Summer Bingo, Bingo Free Roll, Tourney, Budget 90 Bingo, Pack & Line, Diamond and USA. These are 75 and 90 ball bingo, the classics, and there are no surprises there, but I definitely wish they had at least 30 ball bingo as well. At least they have Slots, Video Poker, Table and Arcade games, so you can choose and play whatever you like. You can check the schedule and pre purchase the tickets in advance.